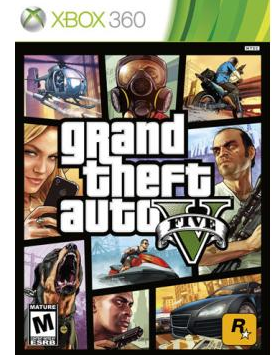 Grand Theft Auto V - Xbox 360 Only $29.99 + FREE Store Pickup (Reg. $60)! You are here: Home / Great Deals / Grand Theft Auto V – Xbox 360 Only $29.99 + FREE Store Pickup (Reg. $60)! Grand Theft Auto V – Xbox 360 Only $29.99 + FREE Store Pickup (Reg. $60)! Oh, I know my husband wouldn’t mind getting this for Christmas!! Right now, grab a copy of Grand Theft Auto V – Xbox 360 for Only $29.99 + FREE Store Pickup (Reg. $60)! You can also snag FREE shipping by picking it up at the store! !